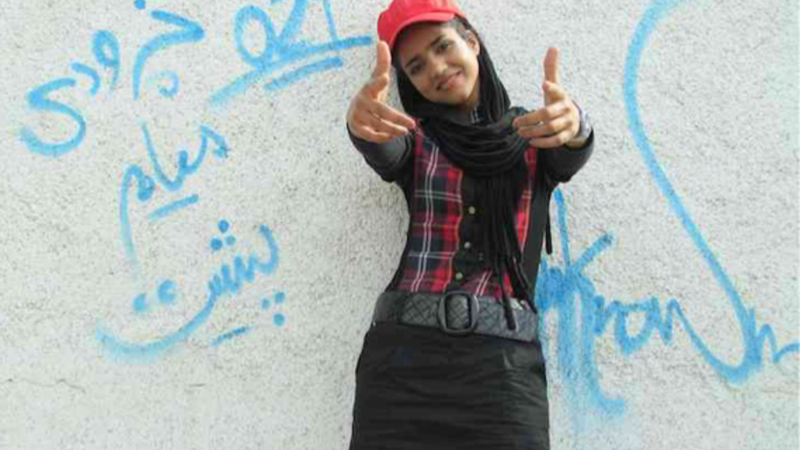 Undocumented Afghan refugee, living in Iran, Sonita dreams of being a famous rapper. Her dreams are dangerous: the Iranian government doesn’t allow girls to sing, and her family expect her to become a teenage bride. 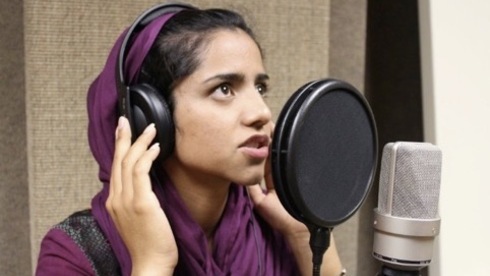 Rapping defiantly about her experiences in a sexist and repressive environment, Sonita is an activist for the ages, her spirit, attitude and resolve captured in this powerful documentary by Ghaem Maghami. 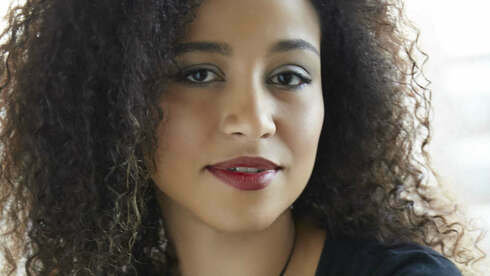 Sonita Alizadeh wants to be like Rihanna. 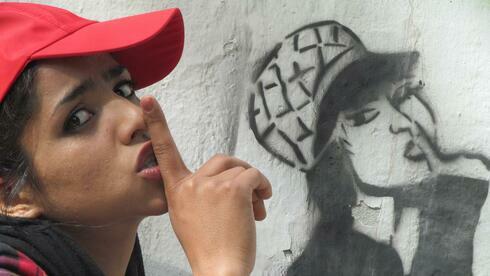 As an undocumented Afghan refugee in Tehran, their worlds couldn’t be more different. When she isn’t working (as a cleaner at a centre for refugees), Sonita is rapping and performing anywhere she safely can and pasting her face onto pictures of the Barbadian singer, songwriter and international superstar. For a girl in Iran though, this is dangerous. 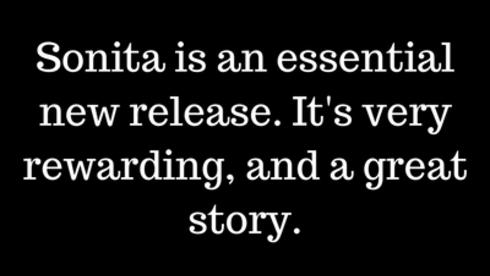 Sonita’s ambitions and dreams are dangerous. 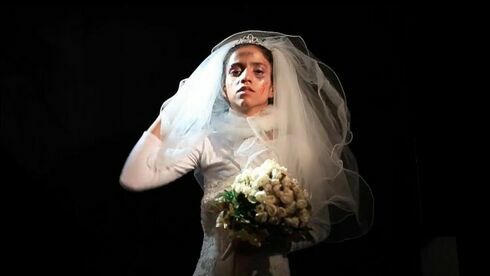 The Iranian government forbids girls from singing, and tradition dictates that Sonita become a teenage bride, for which her family would receive $9,000, allowing them to buy her brother a wife. 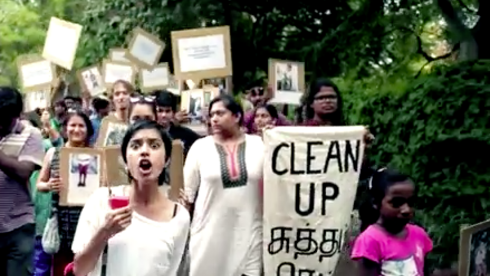 Women as goods to be bought and sold inspires and feeds Sonita’s creativity and songwriting seen throughout the film. 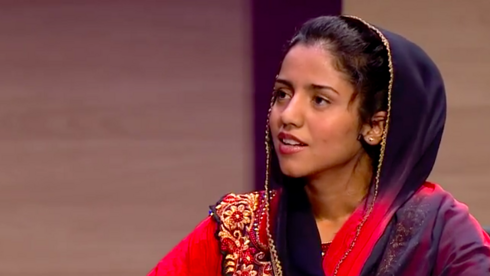 Rokhsareh Ghaem Maghami not only documents Sonita’s struggle over three years, but arguably plays a participatory role in Sonita’s dreams being realised. Becoming a participant rarely seen from documentary filmmakers, Ghaem Maghami, ironically ends up paying Sonita’s mother to stop her being sold into child marriage there is a definitive shift in the relationship from observer and chronicler, to guardian and saviour. 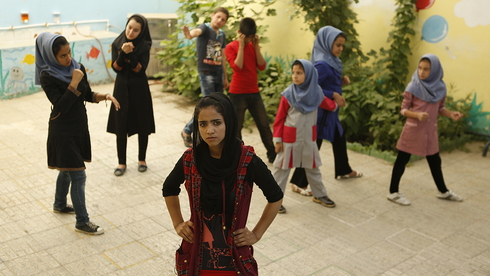 With attitude, determination and sass in spades, Sonita strives to achieve her dreams in this award-winning, heart-warming and all round crowd-pleasing documentary which shines a light into the homes and lives of Afghan and Iranian individuals, too often seen as just numbers in a news report. This award-winning documentary will inspire and touch your heart while also shining a light into the homes and lives of Afghan and Iranian individuals, too often seen as just numbers in a news report. Sonita is released in the UK on 21 October and screens at cinema venues around the country throughout November and December.